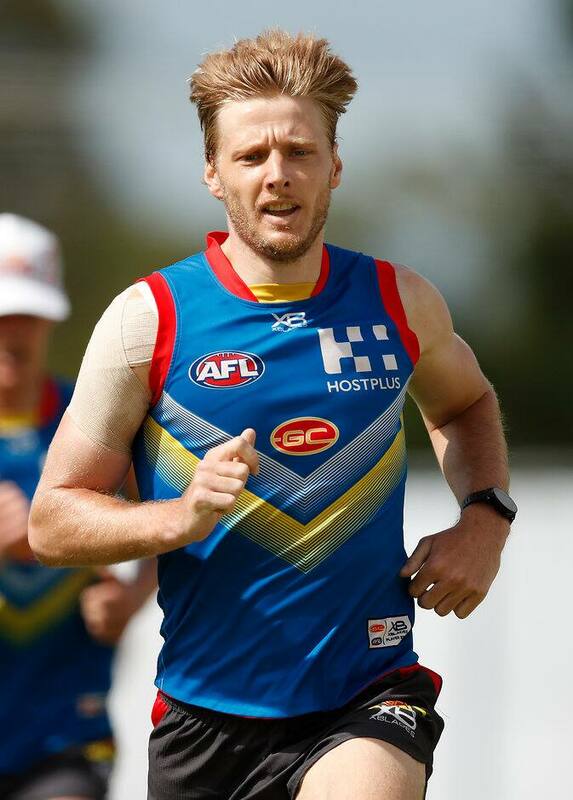 The Gold Coast SUNS will have a boost to their playing stocks this weekend with four players expected to return from injury in some capacity. With the AFL side playing in Round 1 against St Kilda at Marvel Stadium on Sunday, and the NEAFL squad playing a practice match against Palm Beach, there will be plenty of opportunity for the returning players. Gold Coast’s Head Physiotherapist Lindsay Bull told the Alpha Sport Injury Update he was pleased with the recovery of Jordan Murdoch and George Horlin-Smith, who both missed JLT2. “Jordan suffered a head knock at training just prior to JLT2,” Bull said. “He’s passed through all our concussion protocols and will be available for selection this week. “George rolled his ankle at the start of JLT1, played out the game and we offloaded him for the best part of a week. After undergoing pre-season groin surgery, Corey Ellis is now available for selection after completing his rehab program, but is more likely to build match fitness through the NEAFL having not taken part in any pre-season match practice. “Corey had surgery just prior to Christmas and did a lot of strength work post-Christmas,” Bull said. “He’s been running now for a reasonably long time and doing some really nice work out on the track and training the last couple of weeks. Nick Holman is also back on the training track in a full capacity after being managed throughout pre-season with ongoing back soreness. He’s expected to play in some capacity this weekend as well. There are more SUNS set to return in the coming weeks, with Josh Corbett (knee, 1-2 weeks), Jack Leslie (knee, 1-2 weeks) and Aaron Young (ankle, 1-2 weeks) not far away from their return to football.